What a lovely idea. I have trouble loving myself. One reason I take photos is that I hide behind my camera. I avoid photos whenever I can! I will see if I can be brave enough to post something! That would be great! Give it a shot. Or tell a story. You are lovely! Abundant hair and glorious smile! I l love #LoveYourShell! I wonder what color my shell is??? Cheers! I wonder too! Take a guess. Mine must be purple, like Myrtle! That is a beautiful photo of you, Cynthia. I agree with Coastal Crone, and would also add you have lively, expressive eyes in addition to abundant hair and glorious smile. I love it! Thank you for this lovely and kind comment, Lavinia. My hair must have been cooperating that day! Me too, Brad. It’s been too long. Ah, my friend. Well said. Thank you! You look beautiful, Cynthia! You’ve got a million dollar smile. Yay you for coming out of your shell! Thanks, Jeanne. I think you’re right. We just have to believe it. I hope you share a photo of what makes you YOU. #loveyourshell! All I see is beauty:). And not the manufactured kind–the real kind. Isn’t it odd that we can so see that in others but struggle to see ourselves with the same love? I will take your reminder to embrace my inner Myrtle more often! You are so right, K. Glad you’ll embrace your inner Myrtle more often. Me too! And that is a great picture of you doing something you love. Glad your husband sneaked that shot! Thank you! #loveyourshell! Believe me, you look plenty good enough in that photo. I couldn’t put my hands on a photo of myself if my life depended on it. I think my daughter ran off with all the family albums. Daughters tend to do that, which shows how much they value their family memories! You are so good to showing photos of plants, trees, rivers etc., but I just realized it’s true – I’ve never seen a photo of you. This is such a lovely post and you look truly wonderful in your new picture, Cynthia! I believe in natural beauty and not hiding yourself behind make up. 😄 Thank you for this beautiful reminder! How true, when you have courage it empowers others. I really like the statement love your shell. Very clever phrase. It does indeed empower others, Bernadette. One day I looked at the word ‘encourage’ and realized its true meaning: to inspire courage in others. Venus and the Mona Lisa rolled inna one, with a brain at that… u are so lovely Ms CR OD.., have to confess, been staring for the last while. Bro Hamlin’s a lucky man. You made me smile, Tony! Thanks for that lovely comment! You are beautiful through and through! Yes, Myrtle will be in hardcopy within days. I’ll do an update, for sure. Thank you for your kind and inspiring response. Yes. My relative had Bell’s Palsy. He was in his early 50’s when it happened. Didn’t know it was the same latent virus as Shingles. I’m on a mission to educate. Mine turned out to be extremely debilitating and residual effects never left. My mother insisted I’d never had chicken pox but I got Bells so…? Interesting. But who knows how these things happen, right? Bless you, Maria. As are you! Thank you. https://silkannthreades.files.wordpress.com/2017/10/img000002.jpg Will this work? Probably not. But how generous of you to post a “Myrtle widget” on your own blog, and the #loveyourshell icon. Thank you VERY much. It’s an honour. I agree — of course! Lovely photo! And I know just what you mean. For too many years I thought I was too dark, too Franco-American looking. Now, as I age, my hair is gray and ironically I miss my nearly black hair. Life is like that. 😉 Good luck with your book. Sounds like it’s off to a great start. I hear you, sister. Thanks for the good wishes too. Thank you very much, Annika. Glad you like the photo and thanks for the good wishes about the book. A beautiful photo, showing such warmth and intelligence! Thank you, Hilary! I’ll take warmth and intelligence any day. It’s funny, I feel the same way. I now sport blinding white hair, which people stop me in the grocery store to compliment. In the back of my mind, I am a brunette! Love the picture of you. I hear you, sister! Glad that you sport your white hair. I do it to honor my father, the college professor-His hair was white as long as I can remember. I think your photo is lovely! You always look good and your dear Hamlin takes such lovely photos of you too. I wish you so well with your new book! I am sure it will bring such comfort to all the Purple Turtles out there. 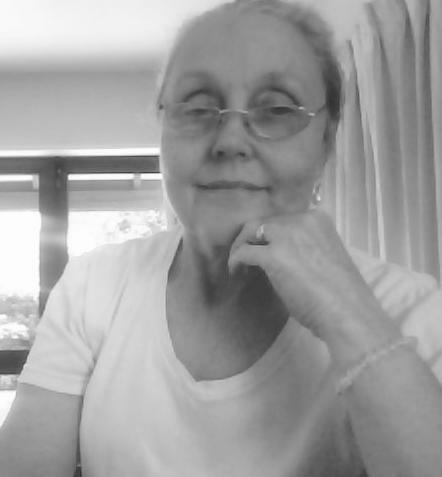 I have had a look to see if I have any photos of me being me, but I can’t find anything at all, probably because I don’t take selfies – ever – and those that my husband takes and sends to me are so awful I always delete them immediately! He always manages to photograph me eating and looking like a squirrel or talking, with eyes half-shut and mouth open – ugh! Perhaps, horror of horrors, they are the photos I ought to be showing everyone! Always eating and always talking, hehe! I, like the Shrubqueen, sport my white hair with pride and I don’t wear make-up any longer (I can’t see to put it on properly!). I try to be me wherever I go and not hide or pretend but I just don’t have the courage to show those terrible photos! What a beautiful, simple idea, to love your shell. As a turtle it would make perfect sense. Your photo is lovely, and shows you as beautiful, compassionate, and warm. Thank you, Andrea. So kind of you. It’s a lovely photo Cynthia! But I know the feeling; I think I’m the least photogenic person ever. I post pictures of myself of my blog all the time, even though I usually think I look bad, because I can laugh at myself in that context, but if it’s for something important, like a passport or a new photo ID at work or something, I stress out about it and always take the maximum amount of allotted photos because I feel like I look terrible in all of them. That’s why I changed my Facebook profile picture to a drawing of myself some months ago, and haven’t changed it since. Much less stressful than a photo! It’s a great photo, you look very relaxed and open – this is a great campaign. That’s a perfect photo of a happy, intelligent, kind woman. Being shelfish is much better than being selfish. Myrtle has lessons for all of us. Thanks for the courage to share you with us.